Merial is one of the world’s leading groups specializing in veterinary drugs and vaccines. The company’s heritage and strength are founded on the research and development of innovative vaccines and medicines that improve the health, well-being and performance of animals. Merial offers products and services for the prevention and treatment of diseases affecting production animals (cattle, pigs, sheep and poultry), pets (dogs, cats and horses), and wildlife (foxes and raccoons). Merial provides veterinarians, livestock farmers and pet owners with a wide range of products that meet the highest standards of quality, harmlessness and efficacy. 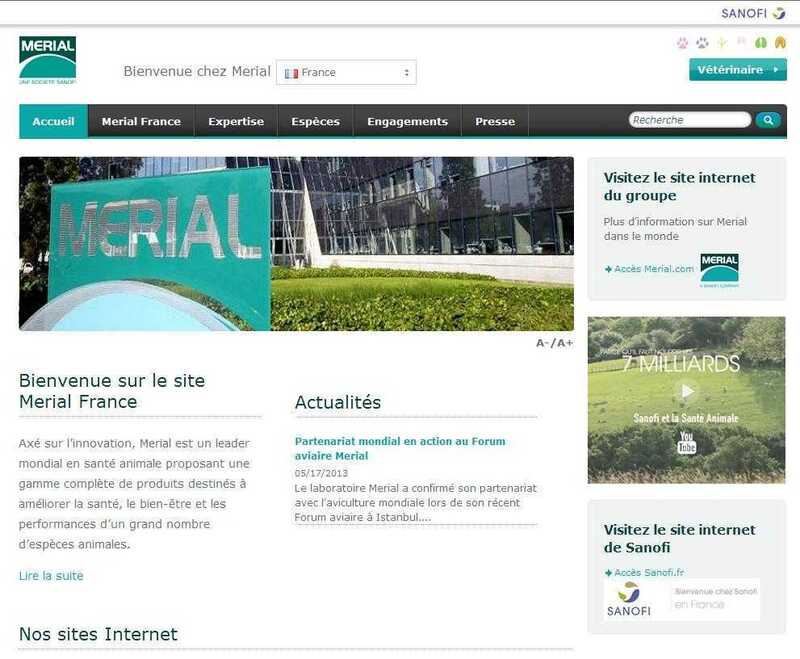 On 1 August 1997, Merial was formed by the merger between the animal-health and poultry-genetics operations of Merck & Co., Inc. and Rhône-Poulenc S.A. (now Sanofi-Aventis). In February 2013, Sanofi announced the consolidation of Merial and Sanofi Pasteur, its other vaccine-specialist subsidiary. 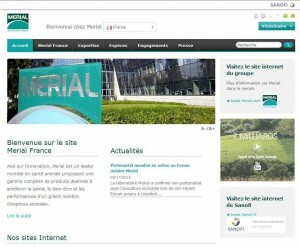 The headquarters, located in Lyon-Gerland, will bring together 600 to 700 employees by 2015-2016. The aim of the consolidation is to facilitate the creation of a Center of Excellence in infectious diseases, thanks to the collaboration of the 150 researchers of Merial and Sanofi. Merial is a member of the world competitiveness cluster in infectious diseases, Lyonbiopôle.